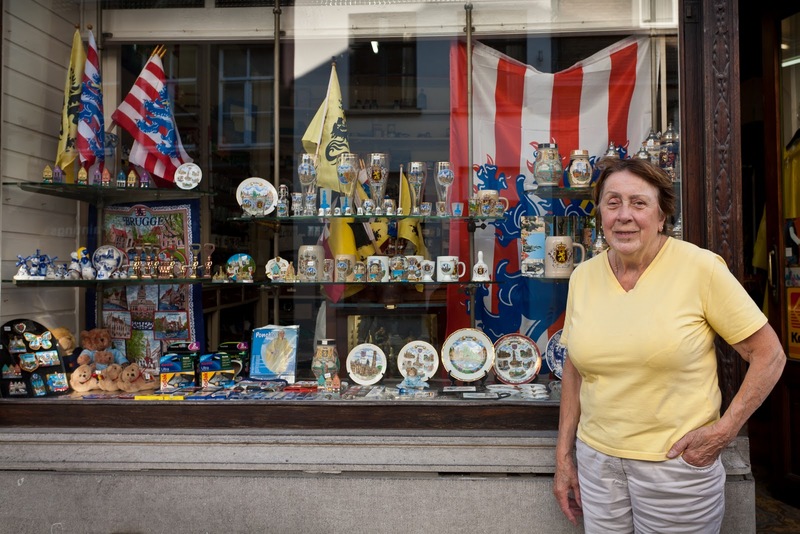 Therese in front of her souvenier shop in Bruges. She has been there for almost 50 years. Nothing much changed in her shop in all that time. This year she is retiring. I've been thinking about writing this blog for quite some time now. It's not easy. I could take a critical line like I did in my blog post about the photographs I hate looking at (and why) but instead I decided on a more positive approach, so this post is in praise of all those photographers who respect and celebrate the relationship photography has with reality, truth and photographic 'seeing'. Arguably the real value and power of photography is in showing the world as we actually see it. Photojournalism has a strict code of ethics forbidding altering an image substantially. This has to be adhered to because if it were not then a photojournalist's images would be worthless. Likewise individuals taking family snapshots, or local photographers recording daily life as we see it make images that become valuable records of our world today. These are the photographers and images that I want to praise and that I think are really important and interesting. The passing of time will add to their value. Now consider the real value of so many of the popular images we see all over the internet. I really do not understand why these 'fad' pictures attract so much attention. What do I mean? I could go on but I'm sure you get my drift. If anyone could explain the value of these images to me I would be very interested. Ah, perhaps they are art. But isn't real art supposed to be powerful, interesting and a reflection of the human condition. Surely applying a filter in Photoshop does not equate to making art, especially when a 100,000 other budding photographic artists have also downloaded and applied the same filter and pushed a few sliders about. In the above I do NOT include the great digital artists out there that incorporate photographic imagery in their work and blend perfect visualisation of a powerful image with immaculate technique. But these are few and far between. Ironically one thing these digital artists often have in common is that the strength of their work lies in making a visual construct that looks incredible, precisely because it appears so real. They pay attention to every detail, the way light falls, shadows... all to fool you brain into thinking the impossible construct really did exist. Again it comes down to the true strength of photography being its relationship to reality, the truth and what we actually see in the world around us. So I ask again; why on earth are all these awful, unrealistic messed up images so popular? To all the photographers out there who enjoy capturing the real world, I urge you to keep up the important work of showing things, places and people as we see really see them in the great tradition of photography.